"WE OFFER TOWING SERVICES FROM ANY LOCATION"
Big Rig Collision Center has built their reputation on superior customer service and truly stand behind their commitment of quality work to you. 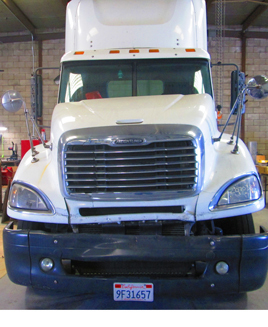 Big Rig Collision Center is a full service shop for heavy duty truck repair specializing in high quality body work and paint. Complete or partial paint jobs on trucks, trailers, oilfield and heavy equipment, vacuum and tank trucks, storage vans, cube and moving vans, containers, etc.